Karen Shaw Becker received her degree in veterinary medicine from the Iowa State School of Veterinary Medicine. She also completed exotic animal internships in California and at the Berlin Zoo, Germany, and is certified in Veterinary Acupuncture and Homeopathy. Dr Becker is also licensed by the U.S. Fish and Wildlife Service to rehabilitate injured and orphaned endangered species through her non-profit organization, Covenant Wildlife. Dr. Becker often lectures about species appropriate nutrition and has co-authored the Whole Dog Journal’s Best Homemade Diet Book of All Time award, “Real Food for Healthy Pets.” Dr. Becker is also the veterinary consultant for Mercola Healthy Pets, the largest pet wellness website on the internet, with over a million monthly visitors. 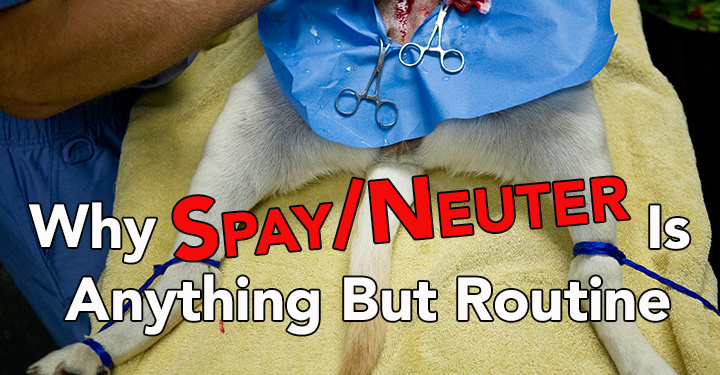 What Are The Risks of Spay Neuter?